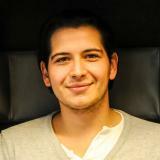 Deniel Horvatic, 25, has been topic owner for blockchain at the Porsche Digital Lab Berlin since April 2017. The focus of the Porsche Digital Lab lies on the testing and implementation of digital technologies for business processes of the Porsche AG. The tasks range from IT scouting and the transfer of technologies to specific applications as well as the development of IT prototypes and components. Before joining the Porsche Digital Lab, Deniel Horvatic gained one year of experience in the IT consultancy MHP. Among other things, he was involved in various projects in the IT department of the Stuttgart sports car manufacturer. Horvatic was previously responsible for software development at the Energy-Startup Acteno for one year. He holds a degree in Computer Science with focus on Web Technologies, System Integration and Service-Oriented Architectures from the University of Applied Sciences Mannheim and Syddansk University. Check out the incredible speaker line-up to see who will be joining Deniel .